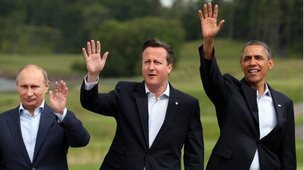 The G8 Leaders have once again taken the world for mugs. They want to ‘clamp down’ on legal tax evasion to raise more funds. What for? To help the poor? To create jobs? To stop the potential £1 billion cut in Education funding in the UK? No. They want to send arms to Syrian rebels i.e. religious fundamentalists who want to turn Syria into an Islamist state. I’d be interested to know if their own advisers have ever helped them personally save on taxes. They want to take money off major companies who employ people, develop new products and are researching new technologies.